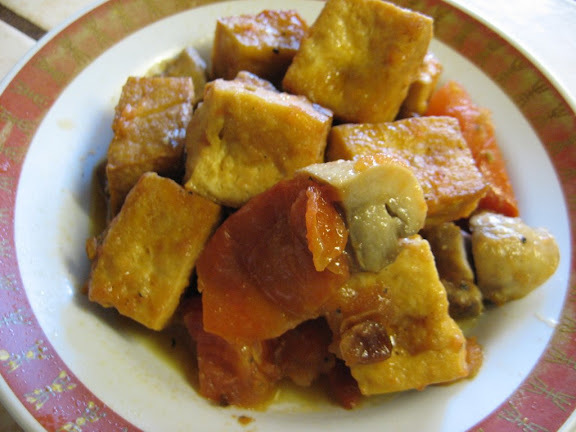 Cut tofu into 2″ x 2″ cubes. 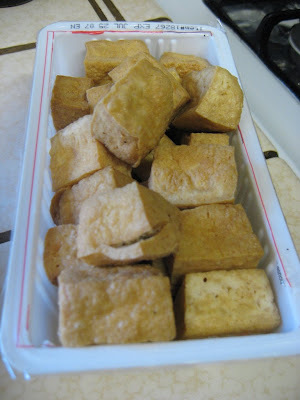 Deep fry* tofu cubes in vegetable oil until golden and set aside to drain. Cut the tomatoes into bite-sized cubes with seeds. 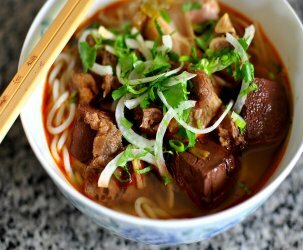 Quarter or halve mushrooms into bite-sized pieces. 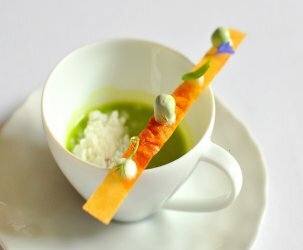 Slice leeks thinly (white part only). 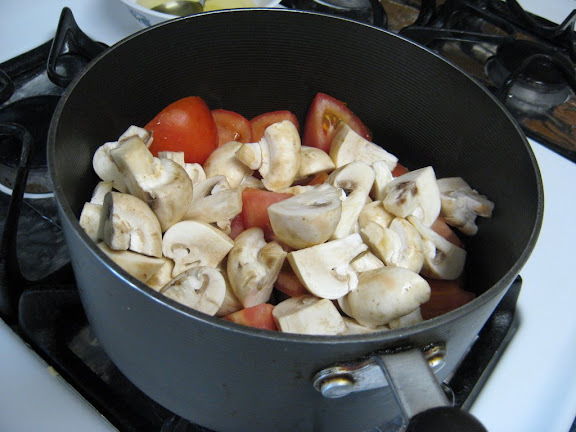 Using some of the oil from the tofu, sauté shallots until browned then add tomatoes and mushrooms and gently combine. Season the vegetables with salt, sugar, and soy sauce. 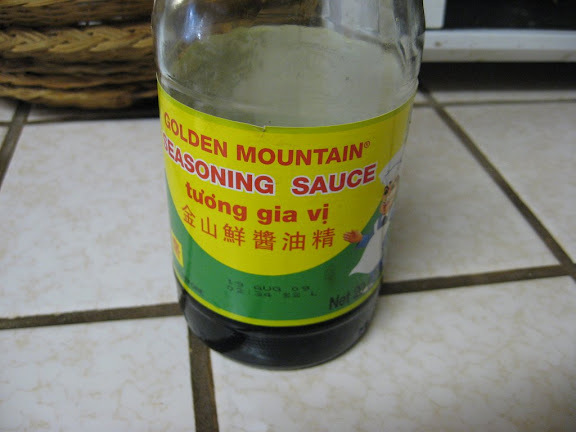 My family likes to use the Golden Mountain soy sauce brand. Cover with lid and let the vegetables sweat for 5 minutes. 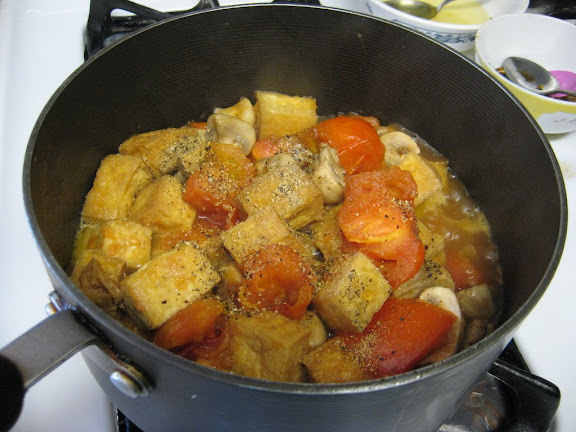 Once the tomatoes and mushrooms have softened, add tofu and place lid back on—do not stir. After 3 minutes, incorporate the tofu with the vegetables and bring to a boil. Season with pepper. Let the tofu and vegetables boil for another 20 minutes. 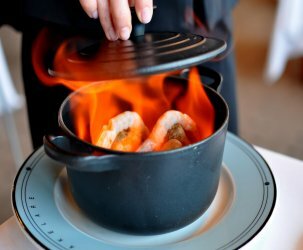 *To avoid deep frying, Asian grocery stores often sell tofu that has already been deep fried.